Leviticus 23:24 “…In the seventh month, on the first day of the month, you shall have for yourselves a memorial special sabbath of blowing of trumpets, a holy convocation. There are many Hebraic traditions about the Feast of Trumpets. The Bible says little about it, just the two clues above from Leviticus: 1) it serves as a special memorial day, and 2) it is to be celebrated by blowing trumpets (shofars, according to Psalm 81:3 and 47:5-9). Long-standing tradition calls this day Rosh Hashanah, “The Head of the Year.” On Tishri 1 (the first day of the seventh month of the religious calendar), it is believed that God created the world. Kings of the line of David commenced their reigns, and numbered their regnal years, from Nisan 1, the first day of the first month. In ancient times, there was a custom whereby kings, on their regnal day and subsequent memorials thereof, would sit upon their thrones to grant favors and pardons, and hear the cases and pleas of commoners. Cf. Jasher 14:1-4 On Solomonʼs accession day, he pardoned his brother Adonijah, who had attempted to usurp the kingdom. It is likely that he heard the case of the two harlots on a later such day. 1 Kings 1:51-53; 3:16ff. A long-standing Hebraic tradition is that the King of Heaven sits upon his heavenly throne in a similar way each Rosh Hashanah: thus the meaning of memorial in Leviticus 23:24. Cf. Job 1:6 As Creator, God is king of heaven and earth, and thus judge and benefactor over all. By extension, the tradition says that on a future Rosh Hashanah, the Last Trumpet will be blown to announce the resurrection of the dead, the gathering of Israel/the faithful, and the Great Judgment which shall commence the Messianic Age. Messianic Jews and others presume that Paul had this principal in mind when writing 1 Corinthians 15:51-53 and 1 Thessalonians 4:16. 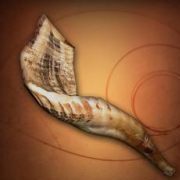 See The Last Shofar: The Latter Horn of Redemption. The first mention in the Bible of a blowing shofar is Exodus 19:19, when one sounded to announce the descent of God to Mount Sinai. That was “the First Trumpet.” The next day, Pentecost, Israel entered into their blood covenant with God, and selected Israelites ascended to different levels upon the mountain. Only after a full seven days was Moses called to enter fully into the Presence of the Glory of the LORD. Such time-delays for events after the blowing/announcement of the First Shofar suggest similar time-delays for events after the blowing/announcement of the Last Shofar of 1 Corinthians 15. In the Tabernacle, Rosh Hashanah is represented by the veil that separates the Holy Place from the Most Holy Place, which serves as an entrance/beginning to the latter. In the body of man, this veil represents both the blood-brain barrier and the entrance of the spinal cord into the brain. In Jewish tradition, Rosh Hashanah commences the Ten Days of Awe, which conclude on Tishri 10, the Day of Atonement. The tradition says Godʼs judgment begins on Rosh Hashanah, when the heavenly record books of menʼs deeds are opened before the court of heaven. judgment sat, and the books were thrown open. On the Day of Atonement, Godʼs judgment is concluded: the truly repentant receive atonement/expiation, and the rebellious are condemned. Numerous New Testament verses testify that the atonement for sins is accomplished by “the blood of Christ.” Heb. 9:14; 1 Pet. 1:19; etc. Although the Passover sacrifice of Christʼs blood was a single act, it had a twofold nature, because Jesus is both Son of God and Son of man/Adam. As Son of God, His blood was brought into the heavenly Sanctuary the first time, as outlined at the beginning of Part 4. That day was a Tishri 10 in the new calendrical cycle that commenced with His birth, made up of sacred 360-day years. Revelation 5:6 …in the midst of the throne…a lamb as though having been slain. 7 And He came and took the scroll out of the right hand of him who sat on the throne. This scroll will contain the written and thus irrevocable judgment of God respecting “the sins of many [people].” Heb. 9:28 By Divine Law, this judgment will take place on another Tishri 10, although in what calendar I will not speculate. Under Mosaic Law, on Yom Kippur the high priest was to bring the sacrificial blood into the Most Holy Place and sprinkle it “upon the face of the cover/Mercy Seat” [Heb. על־פני הכפרת]. Lev. 16:14 The Most Holy Place corresponds to the head, and the Ark with all of its parts represents the brain: in its highest sense, “the mind of the Lord.” 1 Cor. 2:16 The cover in the center of all of those parts represents the mid-brain, the divider between its nature-oriented functions below, and its mentally-oriented functions above. The bodyʼs two master endocrine glands, the singular pineal and the dual-lobed pituitary, sit above and below, respectively. The pinealʼs function is heavily influenced by the bodyʼs, and particularly by the two eyesʼ, exposure to light, or the absence thereof. The pineal itself has the morphology of an eye, with a fluid-filled interior and an exterior having retinal (photo-receptor) cells. These retinal cells are significant, because the pineal sits in the middle of the head, and therefore has no exposure at all to the worldʼs light. With regard to the implications of this verse, more will said in the next article. In the previous section, we saw the parallel and complementary relationship of earthly and heavenly memorial days – Nisan 1 and Tishri 1 – for earthly and heavenly kings, respectively. The same complementary relationship exists respecting Nisan 10 and Tishri 10. According to Mosaic Law, on Nisan 10, unblemished Passover lambs were to be chosen by Israelite households, to be kept for the Passover sacrifice at the evening of Nisan 14. Ex. 12:3-6 Jesus, the ultimate Passover lamb, was therefore chosen and honored at the home of Lazarus, Martha, and Mary in the evening/beginning of Nisan 10, and then the next day, still Nisan 10, by the “great multitude” in and on the way to Jerusalem. John 12 Therefore, on Nisan 10, faithful believers chose God Incarnate as their Savior. On Tishri 10, God, by means of God Incarnate, will choose faithful believers to be saved. Next: the Feast of Tabernacles/Ingathering, and the Eighth-Day Solemn Assembly.